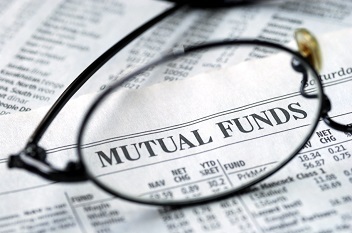 All mutual fund (MF) advertisements in print or electronic media always carry the standard disclaimer “Mutual fund investments are subject to market risks. Market volatility: This is the most important risk that an investor undertakes when he invests in an equity MF scheme. Since equity MF schemes take a high level of exposure in the stock market, these MF schemesare subject to risks associated with stock market volatility. The higher the percentage of investment in stock market, the higher the risk, and vice versa.So the risk associated with MF investments will be calibrated depending on the level of exposure to the stock market.Also, if the MF scheme is mandated to take higher exposure in mid-cap and small-cap stocks, the risks will be higher than the MF scheme with higher exposure in large-cap stocks. The fluctuation in stock prices will be reflected in the corresponding upward or downward movement in the net asset value (NAV) of the MF scheme. The volatility in the stock prices may be due to various macroeconomic factors, such as increase or decrease in economic growth, inflation and production of goods and services, industry outlook, drought or flood leading to crop failures, geopolitical tensions, etc. as well as fundamental factors such as growth or de-growth in corporate earnings, mergers and acquisitions, increase or fall in market share, etc. Interest rate risk: A debt MF scheme majorly invests in debt instruments such as bonds, debentures, government securities,etc. Therefore,any the upward or downward movement in interest rates impact the prices of these debt instruments. So, if the central bank reduces the interest rates, the bond prices move up, and vice versa. When bond prices move up, the NAV of the debt mutual fund goes up, and when bond prices decline, the NAV too declines. Therefore, debt MF schemes are subject tohigh level of interest rate risk. Credit risk: A debt mutual fund is also subject to credit risk if the bond issuer defaults in repayment obligation. If the MF scheme holds a portfolio of debt instruments and securities that are not highly rated by credit rating agencies, the risk of default is higher. If the issuer defaults in repayment, the debt fund may sustain a loss and accordingly the NAV of the scheme will be adversely impacted, which will ultimately hurt the investor.